I got my first iPhone (4) almost a year ago now. For several weeks before, knowing that the purchase was to come, I was checking out all sorts of reviews and recommendations for photo apps. The possibilities are just astounding. A year later, much as I have been enjoying them, I also find that I have my favorites. Plus, there are so many choices, I forget what tools I have and don’t wind up using them as much as I thought I might. I am determined to change that. My favorite app, hands down, has been Tiny Planets. It’s only 99 cents and SO much fun. I’ve read tips on best ways to use the app, but really, one has to just use it, play with it extensively. Not everything comes out “well” in it, but then there’s stuff that really rocks. 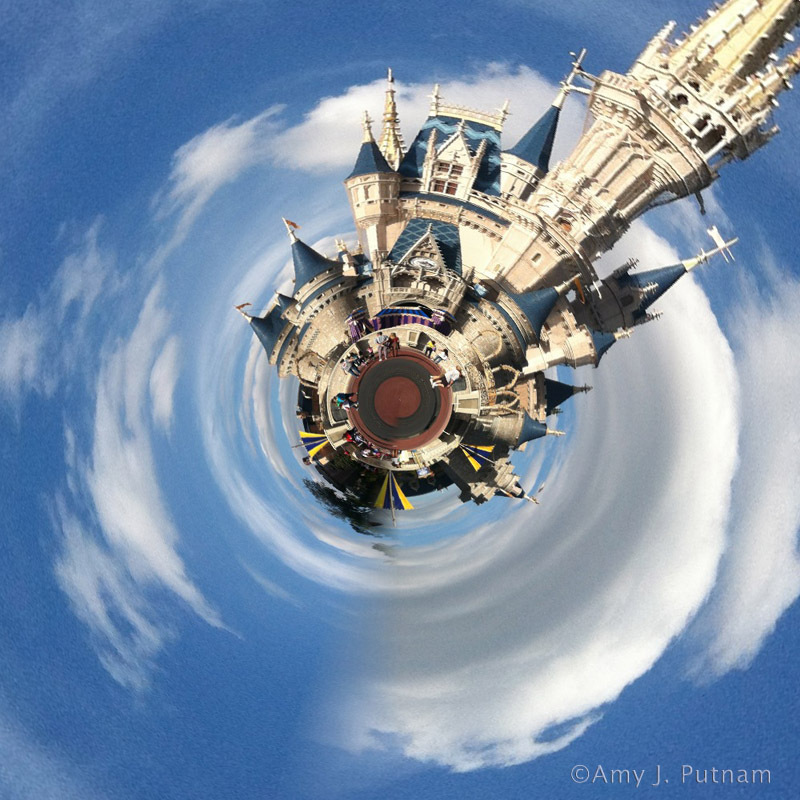 My favorite so far is this photo of Cinderella’s Castle at Disney World’s Magic Kindgom, taken in January. I’ve posted all of my favorites so far in the last year, and by doing the blog, I hope to be motivated to use it more. There’s a Tiny Planets Flickr group with some amazing photos posted (maybe I should add some of my own). Please do pop over to my iPhonegraphy page to the Tiny Planets gallery. My other favorite looks a little like a nautilus shell. The other app I am going to talk about today is one I really haven’t played with much yet: Fake Miniatures. 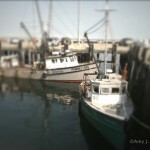 I use the Tilt Shift Generator: Fake Miniature app, another bargain at 99 cents. 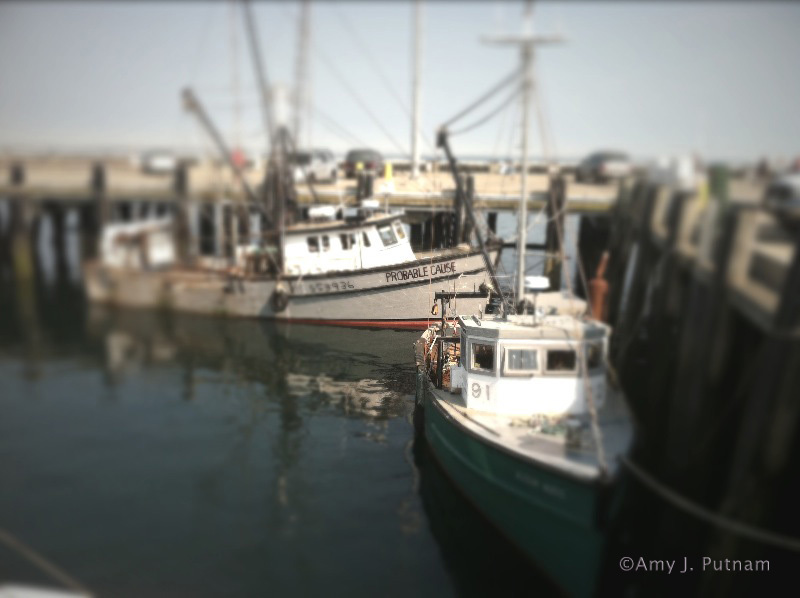 While I know some of the photo filter aggregator apps like Photoforge include many options for manipulation iPhotos, I find that I get overwhelmed with all of the choices. Easier for me to just pick an app at any moment and use it. I like Photoforge, don’t get me wrong, I just don’t tend to think in such complex-choices-all-at-once fashion. I’ve been using other apps, and will post about them in the future, as well as additions to these two albums. Have to pull together a mash up album too, where more than one app contributed to the final image. Thank you, Apple, for creating a phone with so much photographic potential! I added the soundtrack in iMovie.